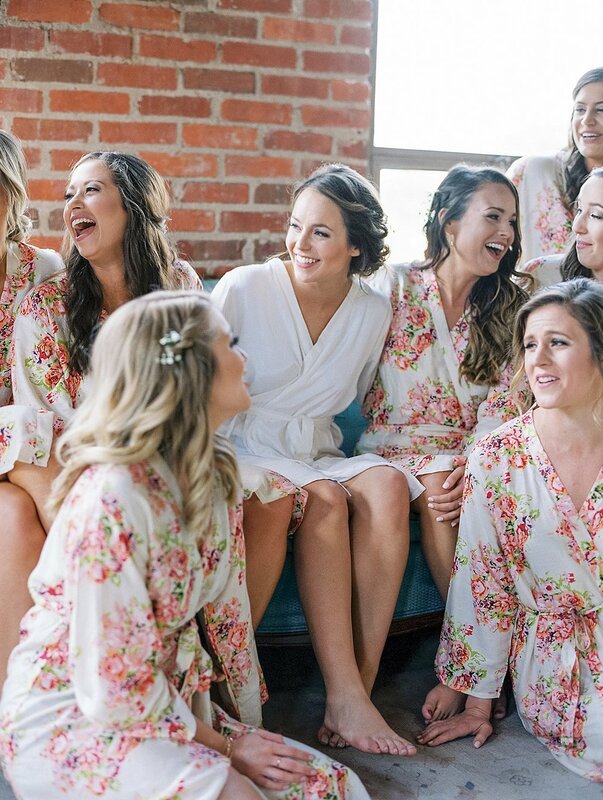 Sometimes you meet people that you just instantly connect with, and sometimes you realize that they are just way cooler than you are too. 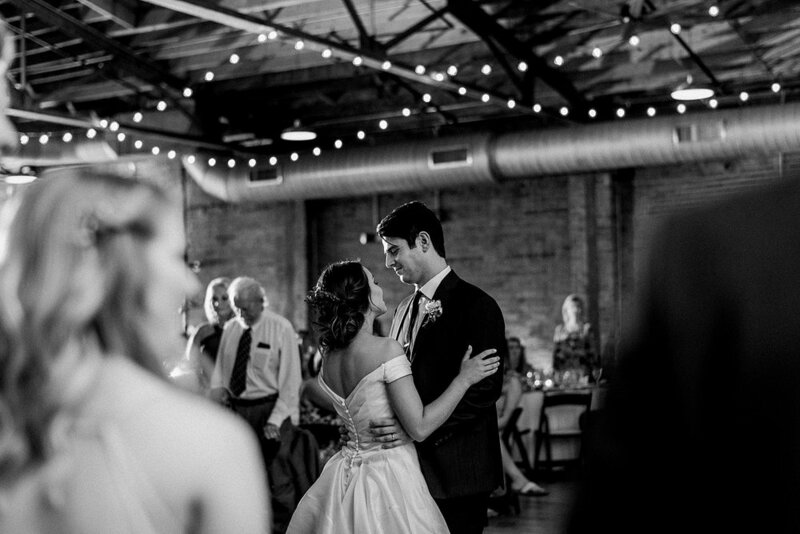 Sometimes, we get adventurous couples who are willing to try anything and venture out with us, and Emily and James were all of these things. 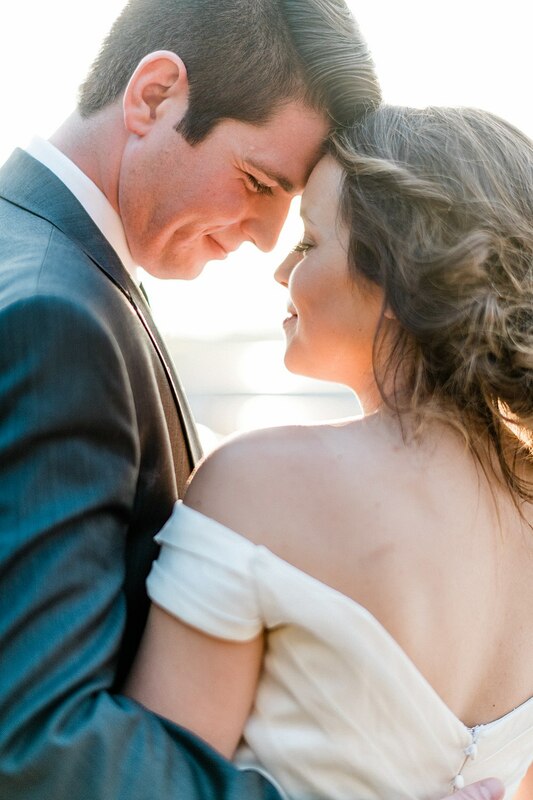 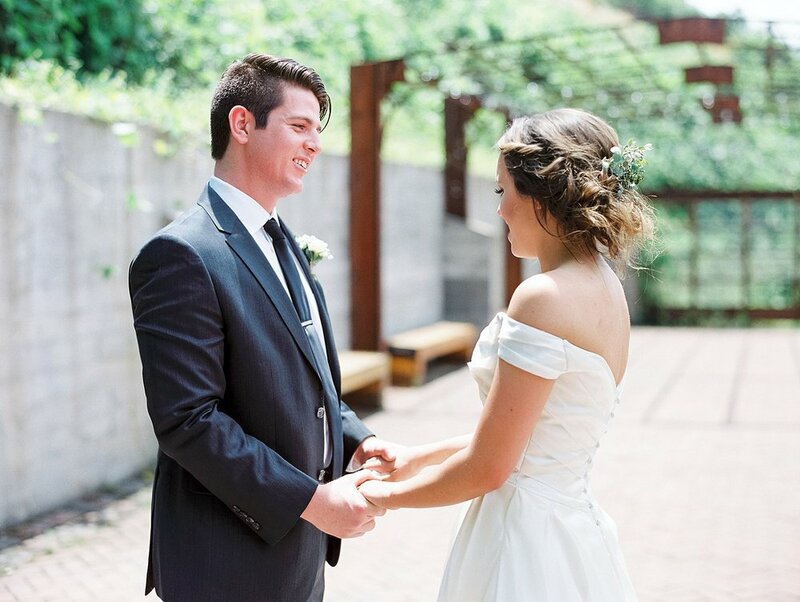 From their Smoky Mountain adventure engagement to this gorgeous wedding with neutral tones at one of downtown Knoxville's most well-known industrial venues, The Standard, we were so blessed to be able to photograph some of the most memorable moments with this sweet couple. 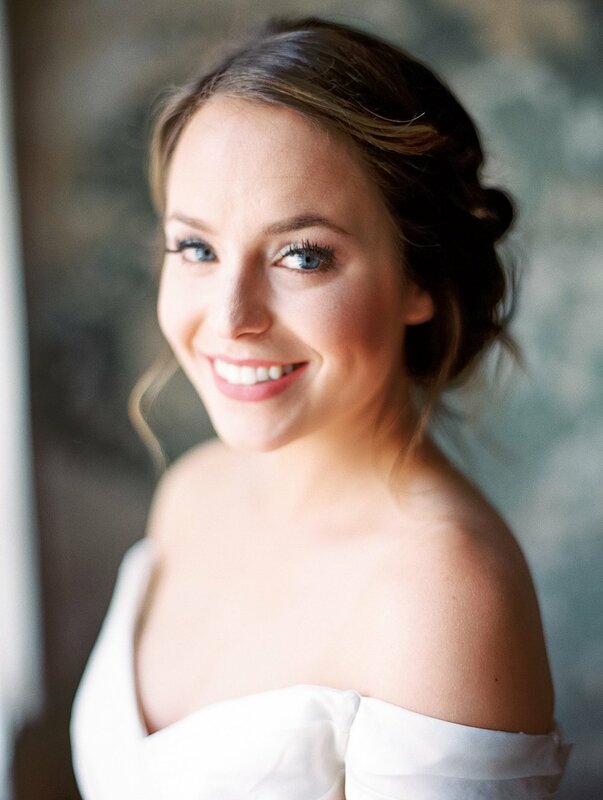 One thing that helped Emily and James' day ran so smoothly was an amazing coordinator, Angie, with Absolute Wedding Perfection. 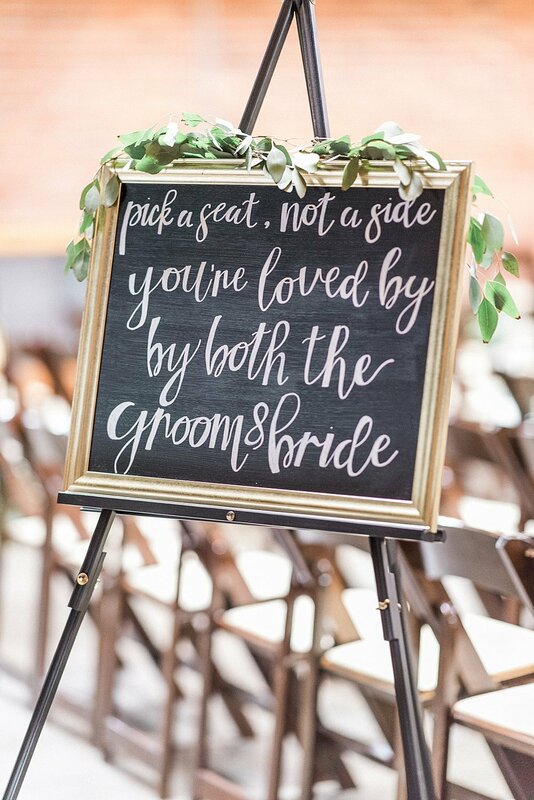 We certainly recommend that all of our couples have at least day of coordination to help with the flow of the events, and hiring experienced professionals always helps things run more smoothly. 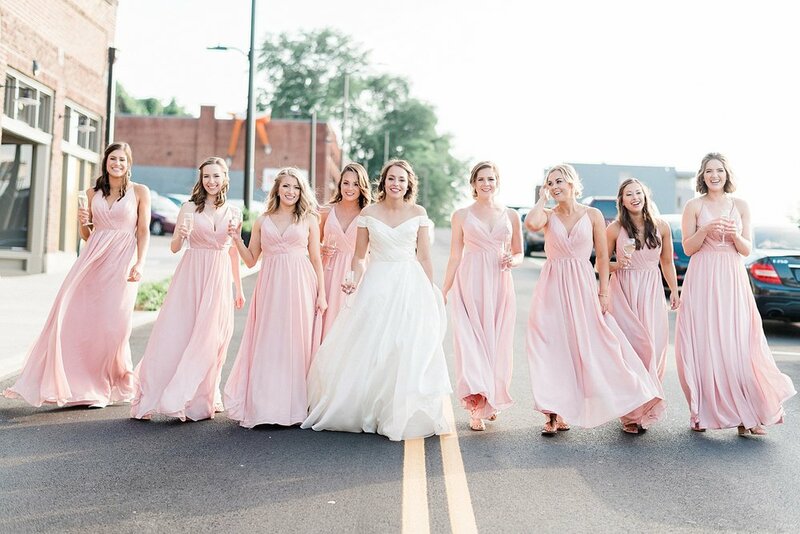 Following a wedding day timeline can be difficult, but with an excellent hair and make up team from Whitney Evans Beauty, these lovely ladies we’re ready to roll when we arrived, and they were looking fabulous. 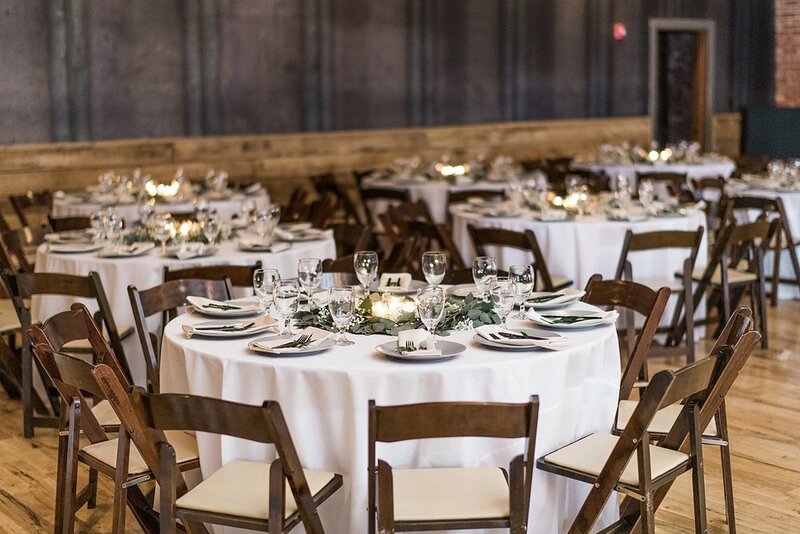 The best way that we could describe the decor from Emily and James’s wedding is to say that it was simple elegance. 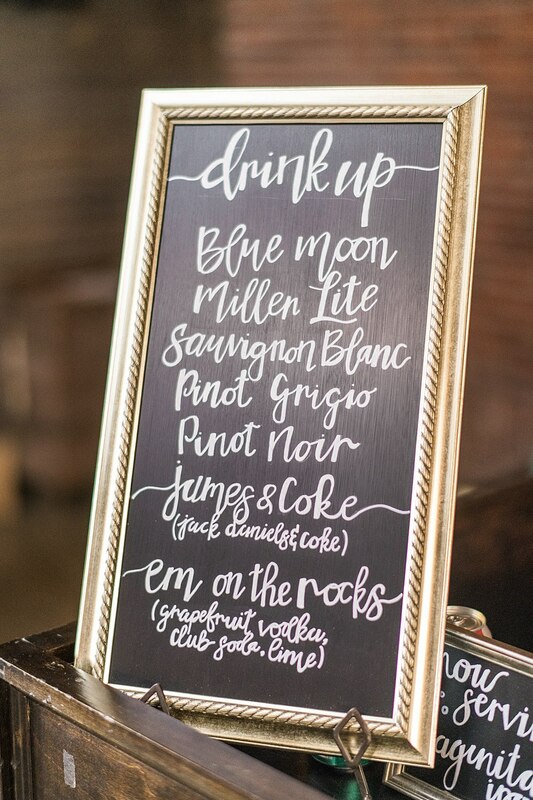 It's really easy to get caught up in making everything over-the-top, but their wedding proved that couples can keep things very subtle and still have an amazing impact. 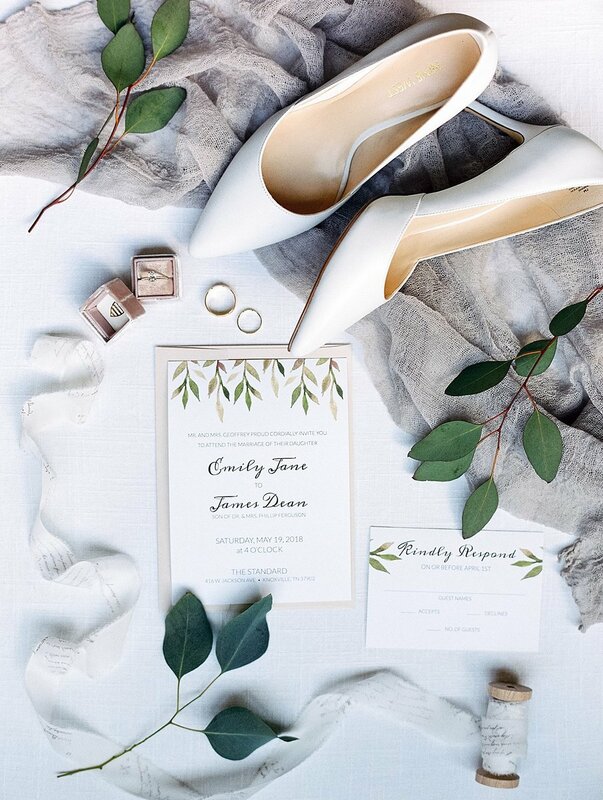 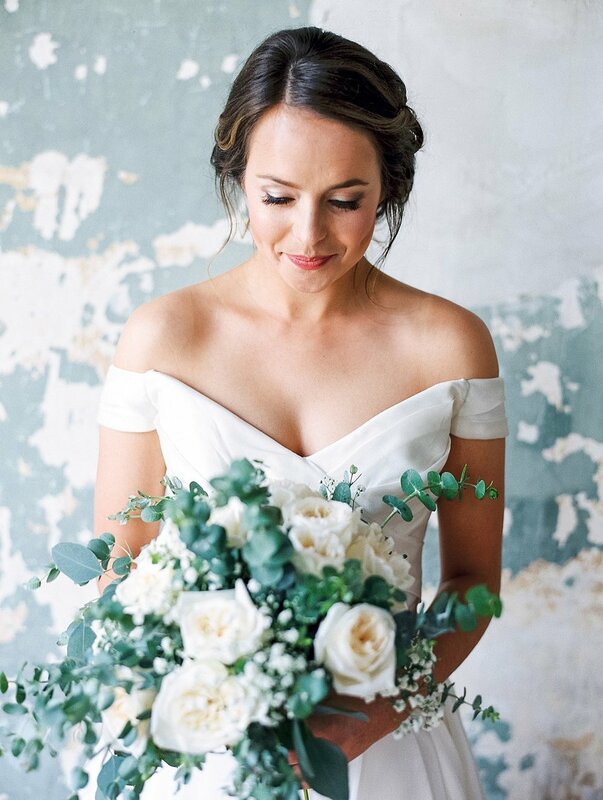 They chose to let the accent colors with the gentlemen's classic grey suits (and those amazing gray place settings) and the girls' beautiful blush gowns speak for themselves against white florals, tons of greenery (including our favorite, eucalyptus), and baby's breath. 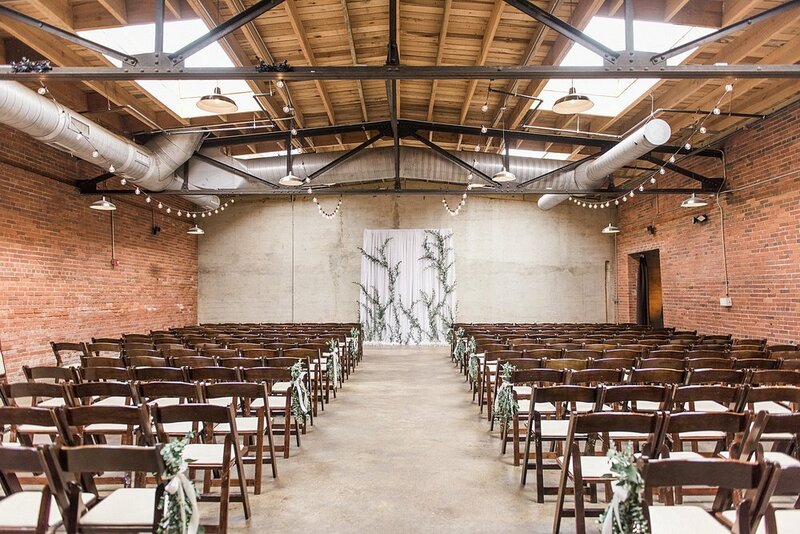 The ceremony backdrop with white flowing fabric and hints of greenery really stood out as a soft contrast to the industrial vibe inherent to the venue. 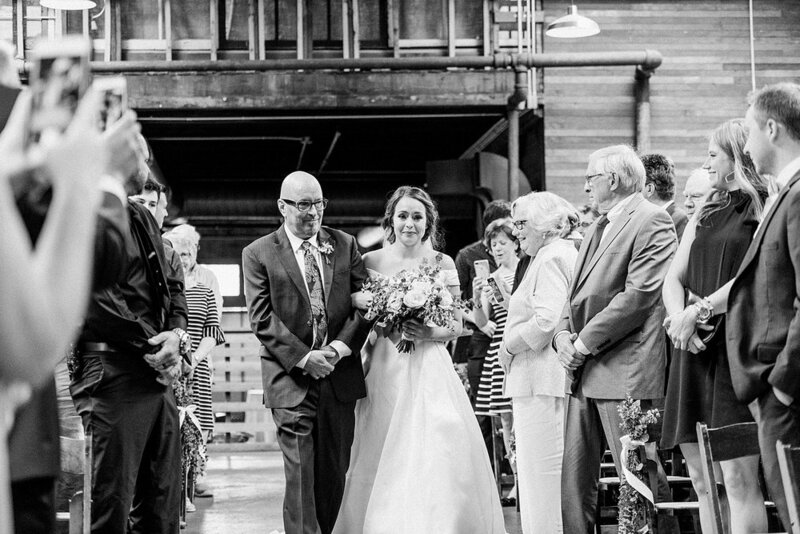 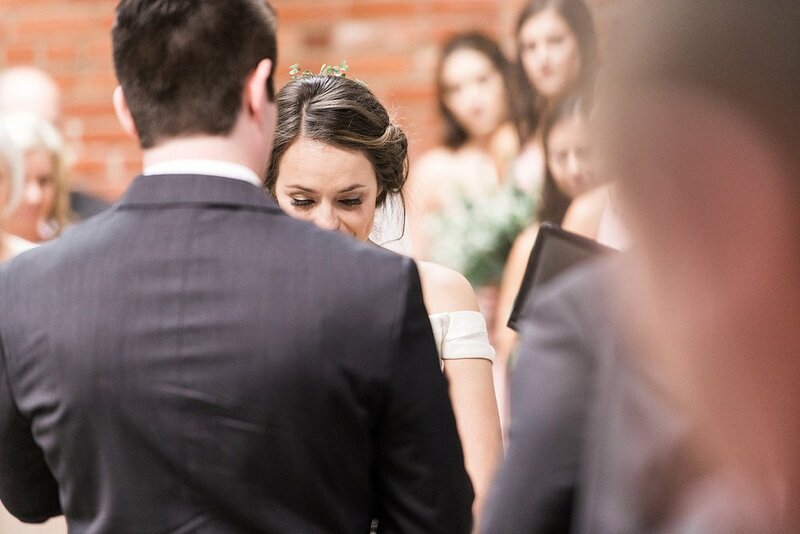 This day was characterized by beautiful emotional moments, not only with Emily and James themselves but also their families, friends, and all of their guests. 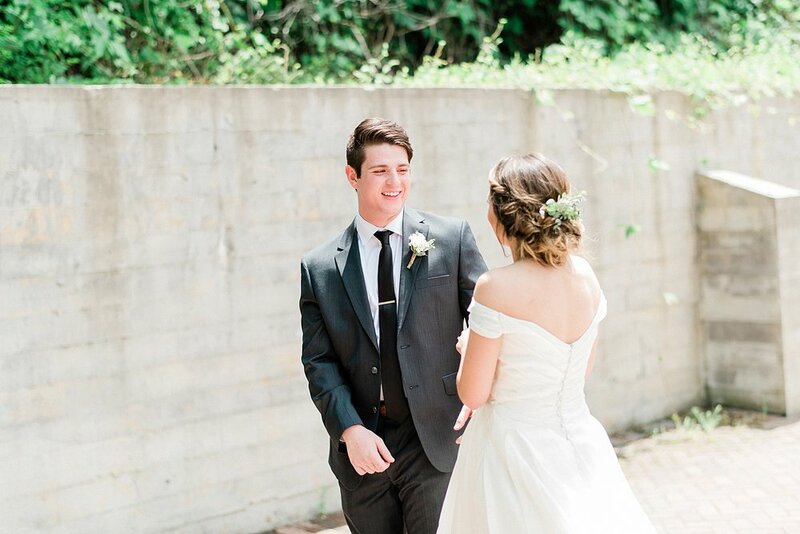 One of our favorite parts of the wedding day is seeing how the couples interact knowing that they will soon become husband and wife and getting to also see those initial moments after they are wed. 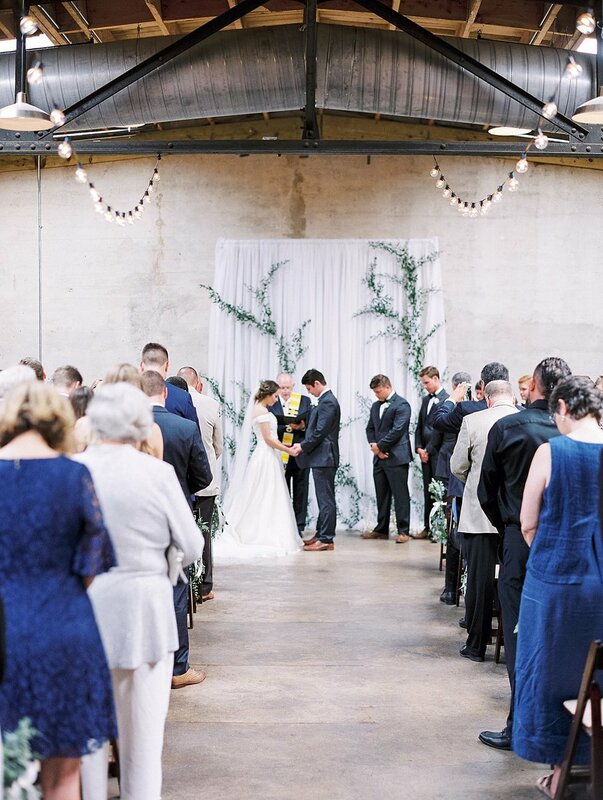 There is no denying that these two share a very deep connection and intense love that can be felt when you are in the room with them, and all the happy tears during their first look, ceremony, and sweet toasts from best friends and sis made this day even more special. 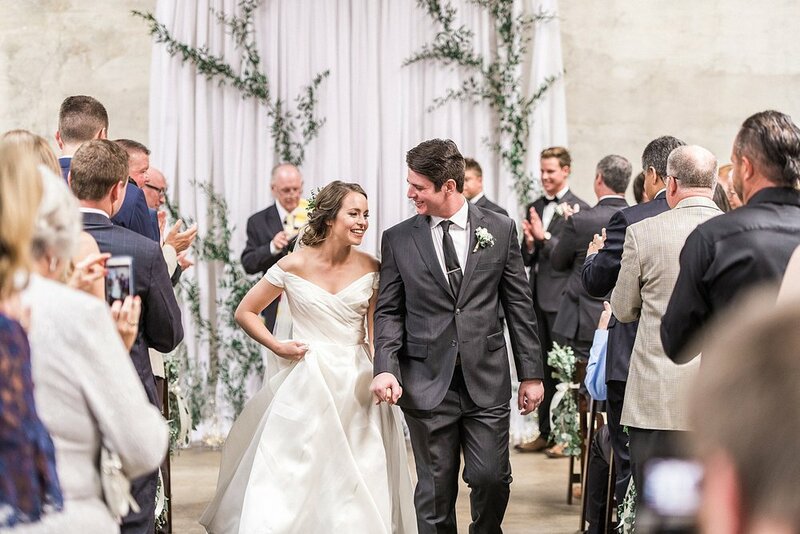 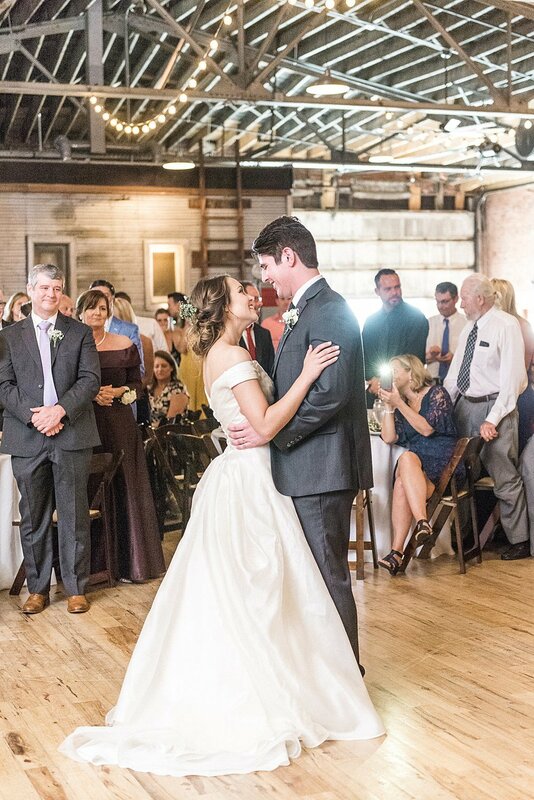 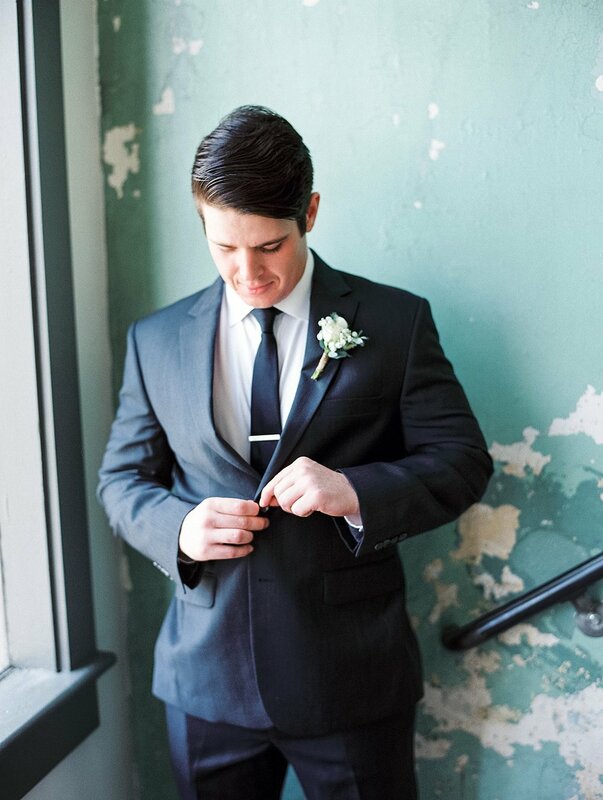 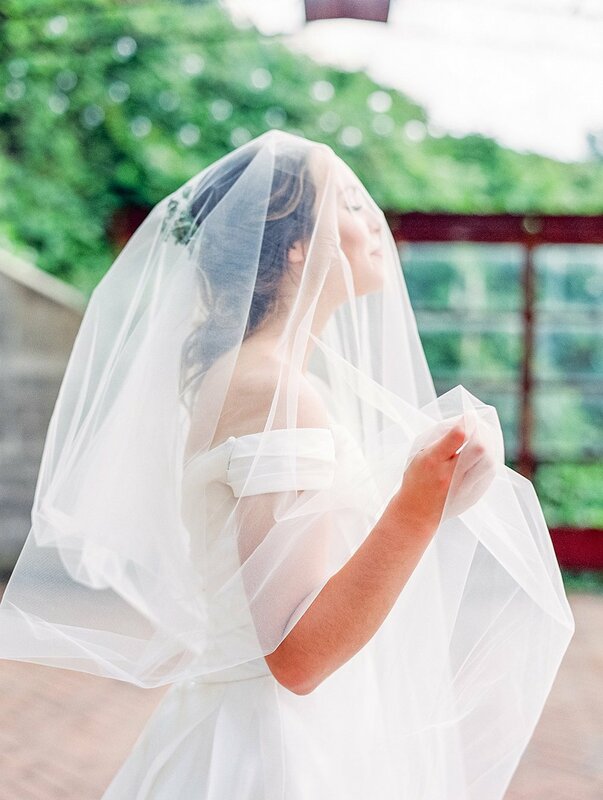 We've been looking forward to sharing this day, and we hope you are inspired by this classically elegant downtown affair.